It depends. For starters, the regular Macy's credit card accrues NO rewards on the individual dollars you are spending. 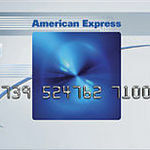 So if you can't qualify for the AmEx option we think you're better off using a general purpose cash-back card so you're earning money back on each purpose. The Macy's AmEx, however, does let you earn 1.5% - 3% depending on your spending level (the latter is reserved for Premier Elite spenders). Once you've earned enough from your AmEx, Macy's will issue you a Rewards Certificate which is basically a gift card towards a future purchase. 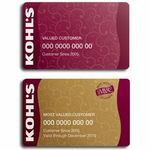 While these rewards aren't as flexible as pure cash-back, we think it's worth considering the AmEx Macy's card especially if you're a Premier Elite spender and can earn that 3% back on each dollar These cards are all fairly similar minus their different names. The only real difference between the three is how often you receive Macy's Star Pass Mailings (coupons and deals on products). The Preferred receives mailings 3x per year, the Elite 6x per year, and the Premier Elite 12x per year. Also, Premier Elite members get exclusive shipping offers from Macys.com and a priority 800 number. 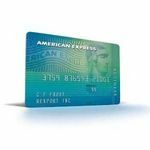 The one reason you may opt for this card over the AmEx is that you're still likely to be accepted even if your credit is only average or below-average. Macy's is a store that people either love or hate and after being a card holder of there platinum star reward card I am one of the people that hates them. Well at least the credit card. I got the credit card to try to build up my credit card, and I figured in the process I could stock up on some good stuff for the house. I should of known that it was too good to be true. Sure the Macy rewards are good, but the interest rates are outrageous. Seriously way higher than I had originally been told. That is why they get such a low score from me is because they are a little deceptive when you first apply and sign up for the card. The actual card customer service is actually pretty good. They answer questions, and you actually get answers pretty quickly after you ask them, for the most part at least. 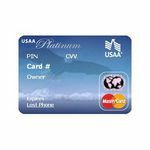 I wouldn't recommend this card to someone who doesn't have credit built up already or who is trying to repair credit. I love Macy's. I have been a Macy's card holder for over 10 years. As a card member, I receive amazing coupons. And when Macy's has a sale, those coupons add on to extraordinary savings. Also during the holiday season, card members are able to sign up for thanks for sharing. This program allows for you to earn an additional 10% back on all of your shopping during the eligible time period. It costs $25 to register but you more than make it back with the 10%. At the end of the program, you receive a Macy's gift card with the balance of the cash back you earned. This is such a wonderful perk of being a Macy's card holder. Also, you receive catalogs and notices of upcoming sales. And their customer service is just wonderful. Customer Service The customer services representatives are super friendly and helpful. Available Rates The only downside is that the apr rate is high. I never carry a balance on my Macy's card. Also, make sure you pay on time. As other credit card companies will reverse the late fee if you forget to pay your bill one time. However the one time I completely forgot to pay my bill on time, the customer service representative was unable to reverse the late fee. For a place I shop at a lot anyways. I am a huge fan of Macy's and love that I am able to buy my favorite make-up, bath & body products, clothes, jewelry and shoes all in one spot. So naturally, I grabbed up a Macy's platinum card once I was able to by myself. I was able to find some great deals, which was mainly because of my Macy's Platinum Star Rewards Card. They have a ton of benefits ranging from special sales for Macy's card holders only, to reward certificates. If you frequent Macy's, I would say this card is definitely worth it because it will save you some money in the long run, but make sure you pay off your bill because their interest rates can be high! Customer Service When using my Macy's Platinum Star Rewards Credit Card, customer service has always been extremely polite to me, and very accommodating. They always handle my questions and concerns with great care, and make my Macy's shopping experience so much easier! Available Rates I pay off my balance every month so I am very fortunate to not have to pay these rates, but I do find them to be a bit high. I am not too big on shopping for many things but to be honest, clothing may just be my weakest point. I was drawn to the Macys Platinum Star Rewards Credit Card mainly because of the fact that I really like the style and quality of clothing they sell. The rewards that can be earned were a really big determining factor as well. Not too many credit cards give you a birthday special or freebie and I really appreciate how they communicate to their customers that they are valued and appreciated. The interest rates are pretty high but, there is also a way you can actually avoid paying or building up an interest rate on the card all together. It requires a lot of self discipline for me but, I opt to simply charge no more than I can afford to pay off entirely. Doing it this way gives me the rewards without having to pay additional to enjoy them. Being a card member means that I am able to get exclusive access to sales, bonus events and at times, surprise savings at the register when I check out. That within itself is really cool to me, it's kind of like a mini gift from time to time. I really enjoy being a member but you have to spend smart in order to get anything out of it. I am a certified credit counselor. 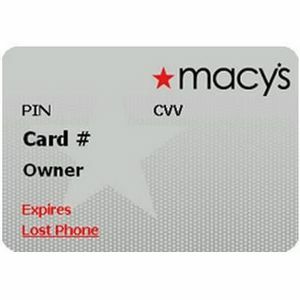 Macy's Store card is a double edged sword - they will grant anyone a small line of credit which is great for first time borrowers to establish credit however they offer super HIGH rates and they don't report the balance and availability each month on your credit report so it looks like your are maxed out all the time which hurts your credit more than anything. Their customer service is surprisingly decent however for such a large company and they will work with their customers to try to keep your business. They will also help educate consumers very well on how their credit accounts work. Everything is out in the open, it isn't hidden but it still isn't the best rate on the market. Customer Service I was really surprised at how great the customer service is for Macy's - shocked would be a better word. I have several store charge cards and they are horrible and rude but Macy's employees are all friendly and incredibly knowledgeable. Any time I have ever called with a question the employee has known how to handle it right away. The hold times are not too bad most of the time - just a minute or so and the person on the phone can usually answer your question without putting you on hold or transferring you elsewhere. I even had an issue and the rep offered to call me back, she DID call me back right when she said she would, that is great customer service. Available Rates The rates are pretty high but that should be expected with a store card. They aren't the highest I have seen though. Per my disclosure it is anywhere from 9%-20%, my rate is 14%. They have promotions once in a while, usually around Christmas where you don't have to pay interest on a certain purchase or you can get rewards. I love my Macy's card! I shop at Macy's quite often and finally decided to open a credit card with them a couple years ago. I've been very pleased ever since. I love that i get Star Pass coupons every other month or so. I always look forward to using them on larger purchases such as shoes. They really make having the card totally worthwhile! I also love that I get a special surprise coupon on my birthday. I know it's automatically mailed, but it makes me feel like a valued customer. The best benefit has to be the Thanks For Sharing Rewards where you get 10% back on every purchase during a specific period of time. I always try to stock up on things I need or gifts during that period. It's a nice bonus. The rate is high, as it tends to be with most store cards, but I try not to carry a balance so it's not a big issue. I love that you can pay your bill online, through the mail, or at any register in the store. So I can just dart in and pay my bill if I happen to be nearby. This has saved me from a late fee a couple times when I've forgotten to mail my payment on time! If you shop at Macy's regularly it's well worth it to get their card for the coupons alone! I give the Macy's card a high overall rating because I love to shop at their store. The best part of my shopping experience is when I can apply their high valued coupons, at least in my opinion, and tag it along with a clearance item! I truly love to see the final price on the expensive items I get. Using my credit card allow me that opportunity. Customer Service I really love the customer service I receive as a Macy's credit card customer of over 20 years. I am pleased to say that my person to person AND over the phone experience, has thus far been phenomenal! Even when I placed an online order and had to return it, the service provided to me was awesome, the representatives are very attentive, professional, and demonstrate a caring demeanor. I believe that these attributes to my loyalty as a customer. Available Rates The only thing I would change about the card if I could, would be the very high rates it has. But if you are a smart shopper, you will basically never have to pay those sky high rates. If you shop for what you can afford to pay right away, then you can make use of the coupons and deals, then turn around and pay it off right then and there. Fantastic!!! To be quite honest this is just another run of the mill store charge card that is with a low starting opening balance (usually under 1000) and a very high interest rate. 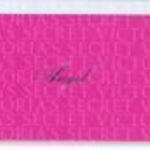 I do not really like my Macy's card because unlike some of my other store cards I do not feel that I get very good value out of it or any special extra types of offers. 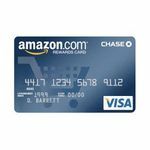 I have had to pay my bill multiple times by phone and spoke with customer service agents and they have always been very friendly, but many times they have tried to get me to get some kind of extra protection that the card offers that charges you every month. I know this is their job but after you tell someone no at least a dozen times it does get kind of annoying that they keep on bothering you and asking you over and over again to sign up for the program. The card does offer rewards but I do like a lot of my other cards better and i get far better rewards out of them than I have out of this card, so this is not a card that I use very often.